Thala Grey or Thala Gris is a famous North-African marble, extracted from quarries located in Tunisia. Thala Grey is a particular selection of Thala which includes the slabs with a rather uniform grey background, with some dark veins and some light stains and “salini”. The quarries produces many blocks of Thala but the Thala Gris selection has a low availability. The blocks are usually cut in the sense of the vein, and for this reason the slabs of Thala Grey have slightly different background colour, and need to be selected when the colour consistency is required. 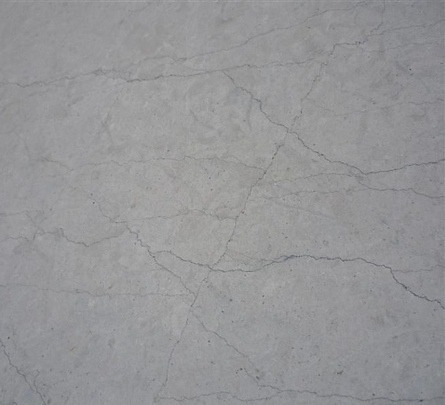 The slabs of Thala Gris cannot be polished, and for this reason this material is at times deemed as a limestone. Usually the slabs do not need to be resined, and they are honed or brushed only. Thala Grey is a resistant marble, very suitable for outdoor uses in warm environments, and also for applications in sunny settings. Thala Grey is usually chosen for floorings, tiles, claddings, ventilate facades, both indoor and outdoor.